Weather Underground had an interesting story a week ago about a terrible weather-related disaster that killed between 100,000 and 230,000 people in China in August 1975. Most of you have probably never heard about it since news reports in the US were quite thin. It’s especially timely this year because high rain amounts and a tropical storm have caused significant problems on many rivers in the Southeast. Sadly, a number of people have died here in accidents related to high water in the last couple of weeks, but nothing like the devastation in this flood in China. You can read the story at https://www.wunderground.com/cat6/deadliest-weather-related-catastrophe-you-probably-never-heard. 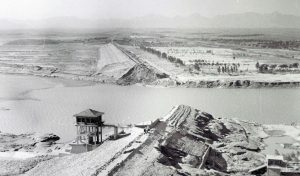 An aerial view of the Banqiao Dam following its failure as a result of mainland China’s greatest 24-hour rainfall, which took place in Henan Province during the passage of Typhoon Nina in early August 1975. 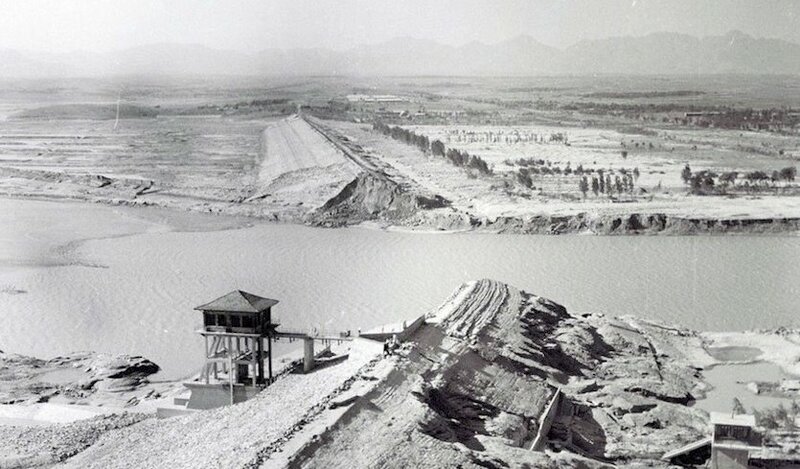 As many as 230,000 perished as a result of the dam collapse. Image credit: Wikimedia Commons.